In late 1970, noted British theatre composer Sandy Wilson was commissioned to write a new musical for the Hampstead Theatre Club's 1971/1972 Christmas Season. 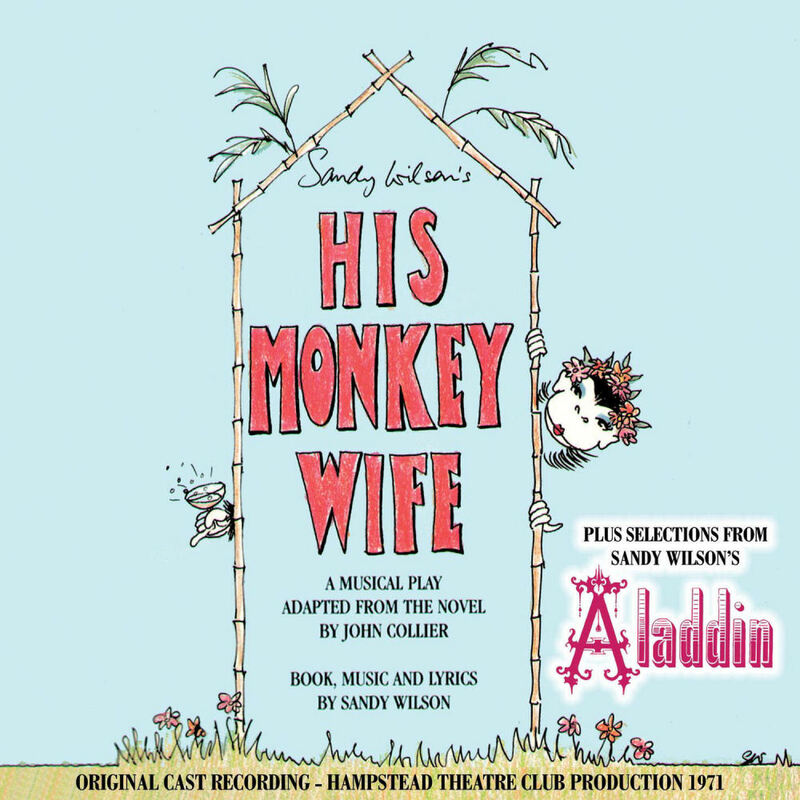 The subject Wilson chose was John Collier's novel 'His Monkey Wife (or, Married to a Chimp)' and the new musical 'His Monkey Wife' opened on December 20th 1971, running for 28 performances. Writing book, music and lyrics, Wilson's adaptation remained faithful to the Collier novel telling the story of Alfred Fatigay, an English schoolteacher who returns to England from the Upper Congo with Emily, a chimpanzee who resolves to educate herself and become a rival for Fatigay's hand from his pretentious fiancee Fern Flint. The cast included June Ritchie, Robert Swann and Bridget Armstrong. Following the limited season at the Hampstead Theatre Club, 'His Monkey Wife' was considered for both a West End and Broadway transfer (producer David Merrick expressed a keen interest) but neither materialised. 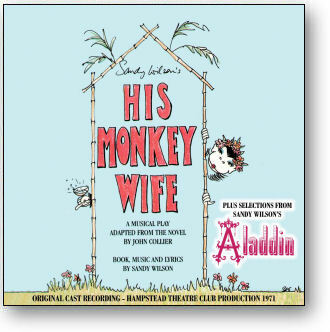 Stage Door are pleased to debut the original 1971 London Cast album of 'His Monkey Wife' on CD, accompanied with selections from Sandy Wilson's 'Aladdin', a production which was commissioned by the Lyric Theatre Hammersmith in 1979, and conceived by Wilson as a musical adaptation of the classic Arabian Nights Tale. The musical featured an all-star cast including Elisabeth Welch, Christine McKenna, Belinda Lang, Joe Melia and Aubrey Woods. All tracks licensed from President Records Ltd.